In the beginning of April, Daniel and I ventured to Palm Desert, California for one of our annual trips to visit family. As we always do, we treated ourselves to a vacation filled to the brim with hikes, morning workouts, adventures, golfing, eating delicious food, laying out at the pool, and exploring! While I didn't often take my camera with me to our dining out excursions or film us around-the-house in relaxation mode, I did make sure to tote my camera to each of our hikes... we tend to experience some pretty special moments (and find some pretty crazy things!) so we like to capture them and create fun video diaries filled with memories! This trip's video is set to Daniel's favorite song of all time, "Mandolin Rain," by Bruce Hornsby. It seemed only fitting to pair his favorite song with his favorite past-time—"hunting" for reptiles! 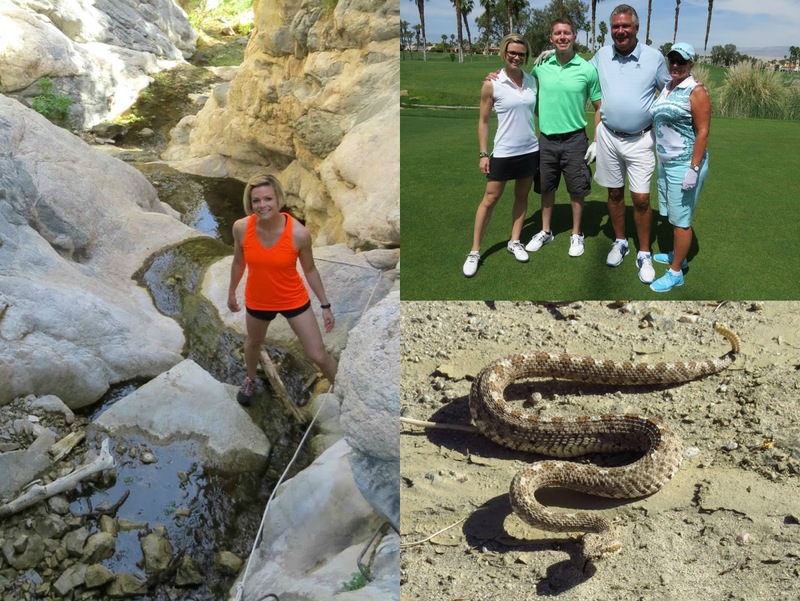 I hope you enjoy the video... and if you aren't a fan of snakes or lizards—this is your warning... BEWARE—we love them and there were no shortage of them on this trip!